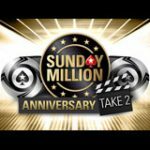 Take advantage of the 888 Poker Sunday Sale tournaments this week only, get reduced buy-ins on selected Sunday Poker tournaments. Buy-in for up to 50% less and play for the same guaranteed prize pools on Sunday 26th, February 2017 at 888poker. Three regular weekly events will be reduced these include: Sunday Sale Challenge, Mega Deep and the Crocodile tournament. 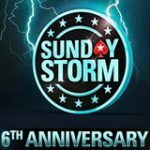 Players can qualify for free by playing the Sunday Sale free tournament which offers $200 cash prize pool and $800 in tournament tickets. 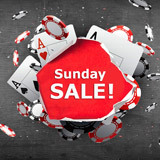 Play for some massive prize pools this Sunday with buy-ins reduced by up to 50% off the regular buy-in on three selected 888 Poker Sunday Sale tournaments. For one day only, this Sunday 26th, February 2017, don't miss out on great value online poker tournaments with a chance to qualify for FREE! 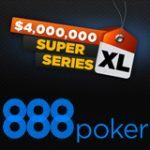 If you have not yet signed up for an 888poker account, sign today and get an extra cash when using the 888poker bonus code 2017 to make your first deposit. 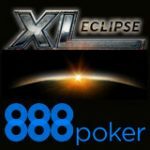 Download 888 Poker for PC or signup and play on the 888 Poker App for Android & iOS. 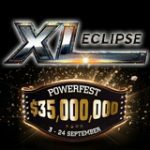 Players can buy-in directly on the day of the tournaments or qualify for tickets in the free to play tournaments which took place daily between 17-22 February 2017. 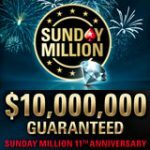 The prizes for the $1,000 Sunday Sale Free tournaments consisted of $200 in cash and $800 in tournament tickets for 888 Poker Sunday Sale Tournaments. Players who won tournament tickets will only be able to use them on Sunday 26th, February 2017. They will expire if not used on the day.